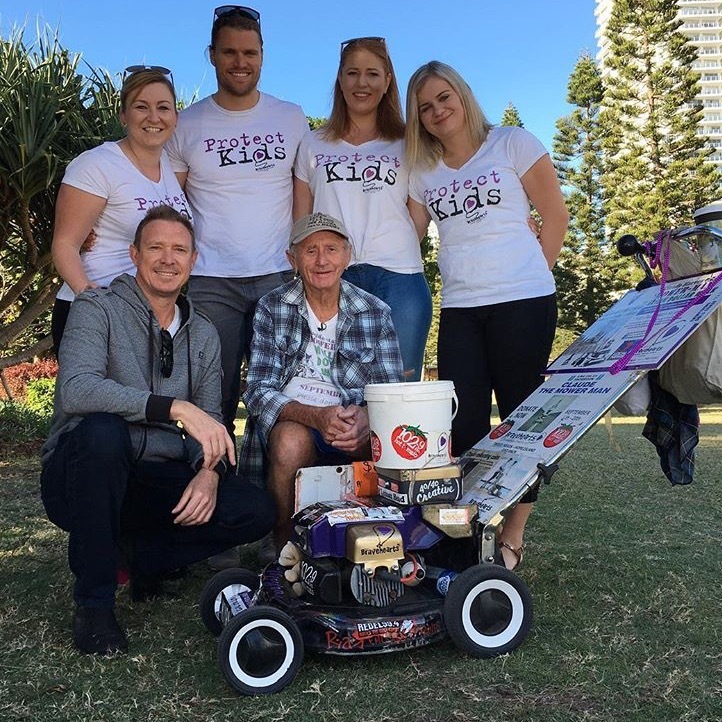 Australia’s favourite ‘mowerman’ Claude Harvey has returned to Queensland after a successful campaign pushing his famous coin-collecting mower through Western Australia raising funds and awareness to help protect Aussie kids. Finishing his 26-day fundraising adventure this week, Claude edged $20,000 closer to his $1 million fundraising goal as WA communities backed Bravehearts and boosted his fundraising total for the child protection organisation to $850,000. The campaign attracted widespread attention as Claude touched down in WA for the first time, kicking off the trip in Fremantle and travelling almost 2000 kilometres through towns including Kalgoorlie and Norsman and Esperance before finishing up in Margaret River on Tuesday. Claude says it was great telling people about Bravehearts for the first time. “Some people had never heard of Bravehearts, so it was great to talk about the importance of child protection and the great work Bravehearts is doing educating, empowering and protecting Aussie kids,” he says. “When they heard my personal story about two little kids I knew who were sexually assaulted, and the fact that I’ve been campaigning for the last 10 years, they were very supportive of my cause. He says meeting local dignitaries was a highlight of the trip. “I met quite a lot of councillors and mayors along the way, which was a great reflection of how engaged communities are on keeping kids safe. Not one to let the grass grow under his feet, Claude is already plotting his next mowerthon – this time his annual trip on the Gold Coast. Currently one in five Aussie kids will be sexually harmed before their 18th birthday. Claude wants to change this by helping Bravehearts to make Australia the safest place in the world to raise a child by supporting its education and prevention program ‘Ditto’s Keep Safe Adventure’ in schools. Follow Claude at www.facebook.com/ClaudeTheMowerMan and help him mow down the $1 million fundraising milestone atbit.ly/1MTWDl9.